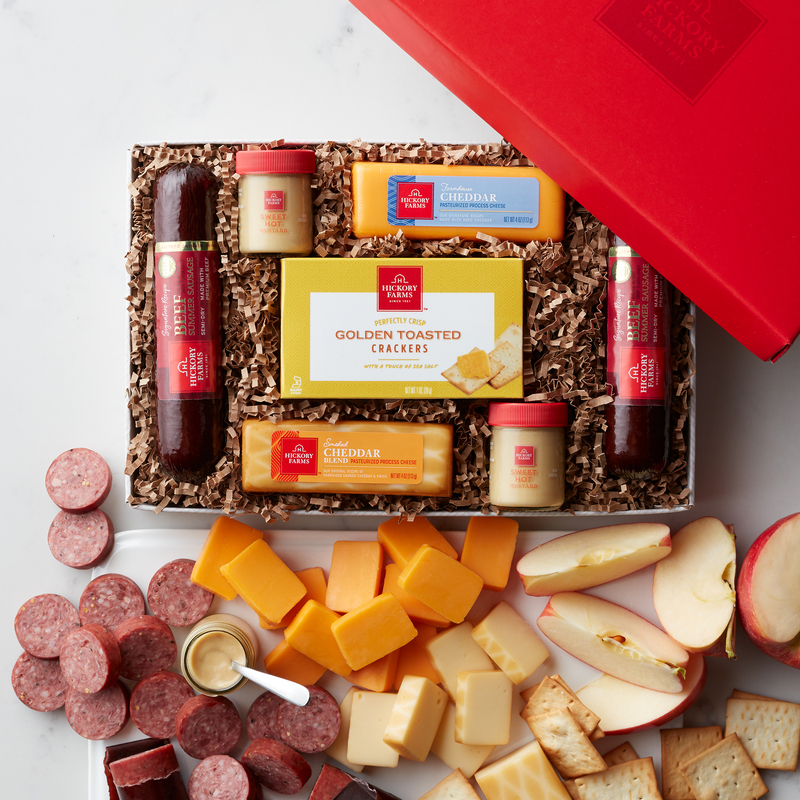 The best of Hickory Farms classics come together in this timeless sausage and cheese gift. 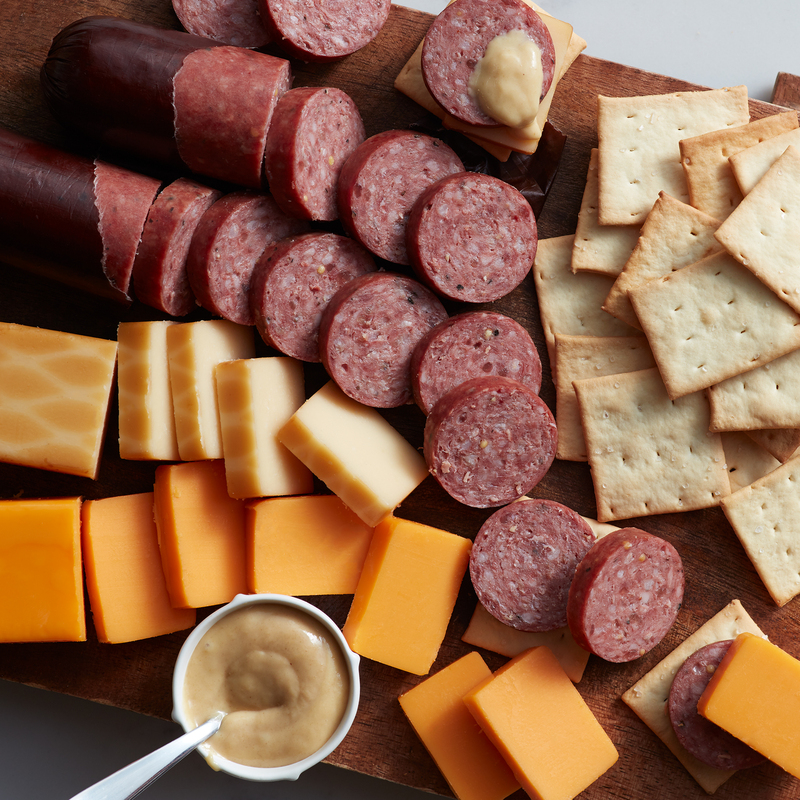 Our award-winning Signature Beef Summer Sausage, Farmhouse Cheddar and Smoked Cheddar Blend cheeses, our famous Sweet Hot Mustard, and crispy Golden Toasted Crackers all stack up to the perfect bite every time. 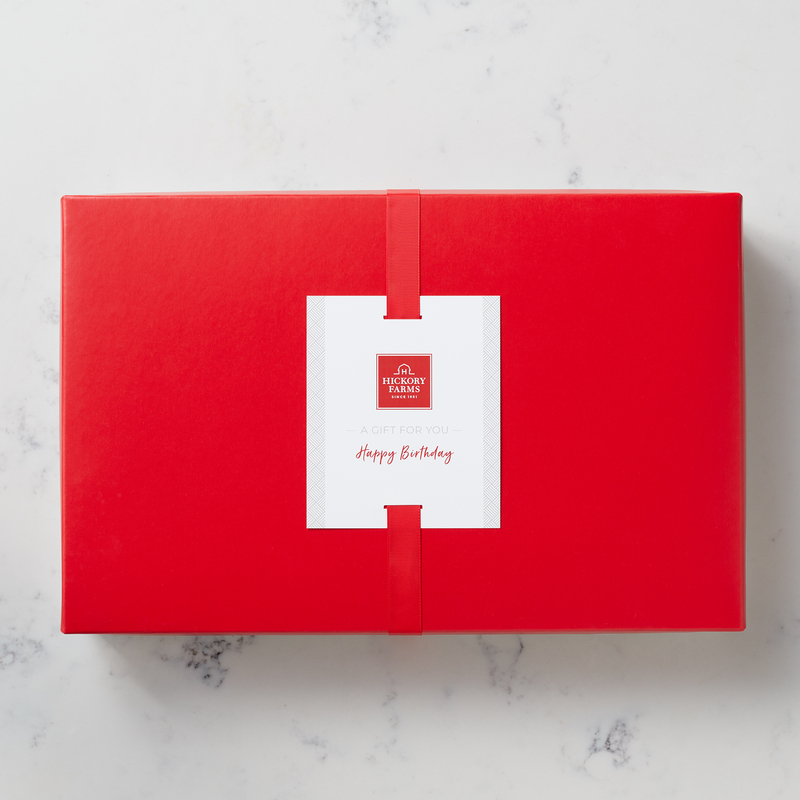 Create instant appetizers to make any party delicious, or send to the classic snack lover on your list!